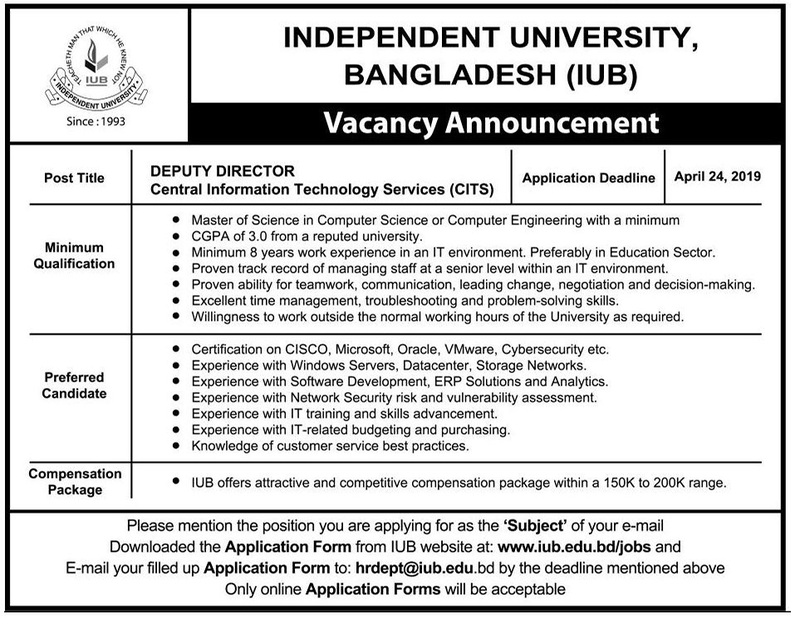 Independent University Bangladesh (IUB) Job Circular 2019 has been published in daily online job portal by their authority and to get from the best education portal website in BD Jobs Careers – www.bdjobscareers.com . As a mention, Independent University, Bangladesh or IUB is a university in Bangladesh. Its permanent campus is in Bashundhara R/A, Dhaka. The university was established in 1993 by the Private University Act, 1992. However, in recently the private university looking various positions new man power for their empty vacancy. If you are interested private university jobs circular in Bangladesh, we think this is the best one, for you help, we have already added below all of necessary requirements with job circular image. So, let check this private University jobs 2019, and if you think you are suitable for this job to submit your application in right time. ■ Type of Jobs: Private University Jobs. ■ Other Benefits: As per University Policy. ■ How to apply: See Job Circular Image. This entry was posted in All Jobs, Dhaka Jobs, Education/Training, Epaper Jobs, University Job by admin. Bookmark the permalink.